Learning that a person you care about has been arrested for an alleged crime be absolutely heart wrenching. Luckily there is something you can do as soon as you hear about this unfortunate circumstance; post their bail. If this isn't something you've done before it is fair to have many questions about the process. Here are some of the more common bail bond facts people need to know, in the form of questions you're likely to have. What's it mean to post bail? By posting a person's bail you're allowing them to get out of jail prior to their court appearances. Bail is a sort of insurance that they will actually show up to their court dates. Why post bail for someone? By posting bail for a person you will allow them to have the necessary freedom to seek proper counsel for their trial. They will also be able to continue working or going to school and prepare for their after-trial life, whatever that may be. Can anyone be bailed out? The constitution states that bail is a right of all US citizens. However, a judge may block that right if a criminal is deemed dangerous to the public or if they are a high flight risk. Posting bail means that the full bail amount must be paid up front, which can be in the tens of thousands of dollars or more. While this money is returned after the trial concludes, it is unlikely a person has that sort of money available. A bail bond is a one time non-refundable fee of about 10 percent of the full bail amount. How long does it take for someone to be bailed out of jail? Depending on the jail's capacity and current population it can take anywhere from one to 12 hours for an inmate to be released on bail. There are bonds available from all different types of crimes. There are misdemeanor bail bonds, felony bail bonds, DUI bail bonds, possession bail bonds and bail bonds for any type of charge. Where do I get a bail bond in Northern California? If you need a bail bond in Marysville, Kelseyville or throughout Northern California reach out to the friendly agents at Rob Brown Bail Bonds. We work quickly to get your loved ones released using affordable bail bond services. 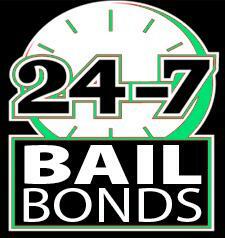 Give us a call day or night at (707) 587-4563 to request a bail bond in Yuba City or the neighboring areas today.